NO. 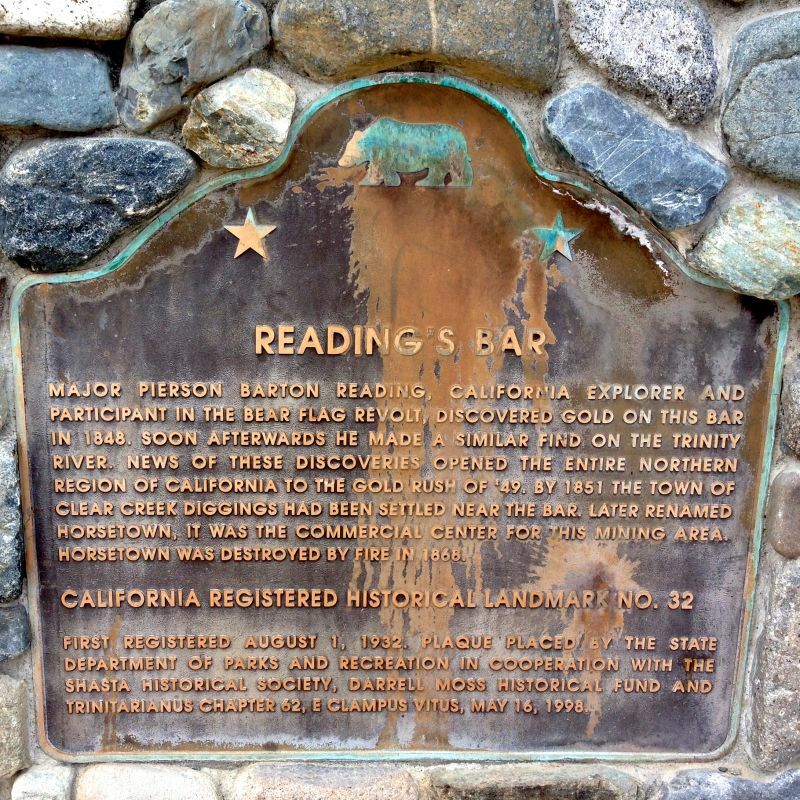 32 READING'S BAR - Major Pierson B. 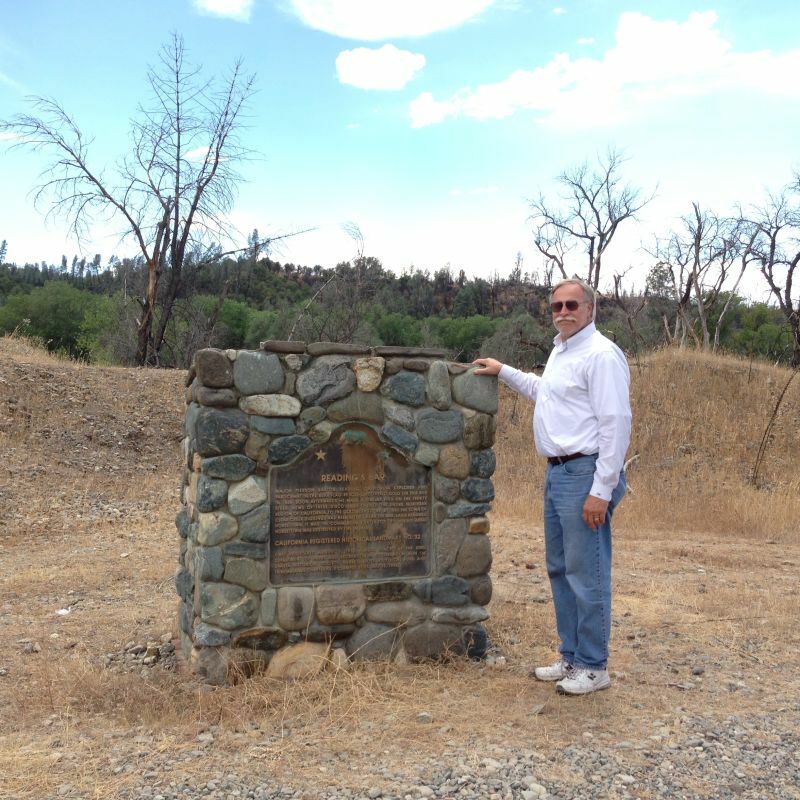 Reading and his Indians washed out the first gold in Shasta County on a bar at the mouth of the canyon of Clear Creek in March 1848.